Flash in the Pan takes creativity to the limit by testing authors’ skills at 150 words and below. Micro-fiction creations from the talented group of 13 authors range from the amusing short through the “gotcha” to the deeply dark and disturbed. It takes you on a journey with a single word as the trigger. 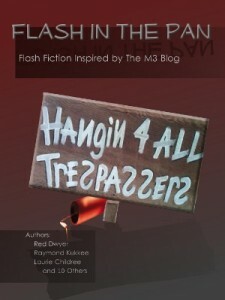 Also check out the second book in the series, Flash in the Pan: Frosty, Fiery, Fresh and Feisty Flash Fiction.